Snacks Sandwich Bar: a tiny hole-in-the-wall "restaurant" I was instructed to investigate, consider, and produce a personal documentation of its exterior and interior based on what I'd observed. The exterior was nothing special. If you blinked walking down the street you would most likely pass right by it. But if you just happened to look to your side at the exact right moment of passing you would be caught off guard by the garish ketchup and mustard colour scheme of the shop front against the softer, more natural tones of the bricks, sidewalk, and pavement. Through the rain you would see the glow of the single fluorescent light shine down onto the shop's sole employee, Denise*. If you were curious enough - and/or wet enough from the downpour - to venture inside, you would see a glass case holding cold metal bowls of uninspiring sandwich fillings covered in mayonnaise next to random assortments of chocolate bars. You would see cupboards filled with half-prepared food, and cooking equipment designed with the exclusive life purpose of reheating food quickly. You would see only four chairs and two tables. You would wonder why people come here. SInce you had already made the effort to go inside, you would then sit down for a moment and consider the menu. You can't go wrong with a cup of tea, right? An older Scottish gentleman, who just so happens to be a regular at Snacks, would be sitting at the table next to you, which is only about 12 inches to your right. He would politely say "hi," and the two of you would strike up a conversation. 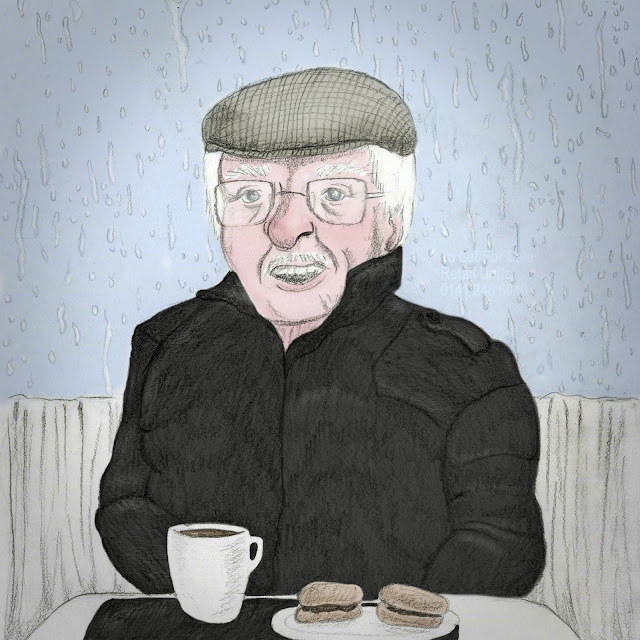 He would tell you that his usual order consisted of a large cup of tea, the haggis roll, and the sausage roll. Two other regulars would enter and join in the conversation, all joking with one another while enjoying their favourite menu items. Denise would even make an appearance from behind the counter for a laugh or two. The warm and lively exchange between Snacks' regulars would bring a life and glow into the shop that the food and fairy lights never could. 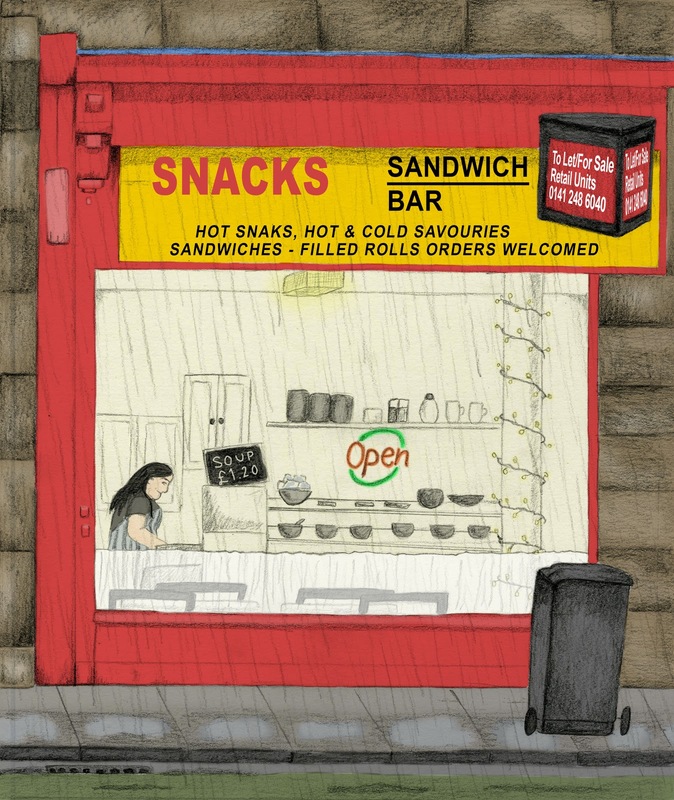 You would realize that sometimes all you need is a little shelter to escape the rain with, something warm for your belly, and the comfort of long time regulars and friends to make you feel at home. *names have been altered for the purpose of confidentiality.